Rajasthan has a rich architectural and cultural heritage with each region possessing its unique style. The arts, dance forms, music styles, songs & plays have evolved and survived since the ages of royal courts in ancient Rajasthan. The increase in materialism and westernization among the people in the modern world has put the existence of culture and it’s arts in peril. So it is of utmost importance to keep this culture alive and throbbing and what else can be the better medium than cinema to promote the culture, traditions, language and arts of Rajasthan. As films are the best way to reach out to people, Rajasthani cinema has been working since many decades to keep the Rajasthan’s culture alive and has seen a golden era where many artists and movies achieved attention and appreciation worldwide (movie like Bawandar and many others). But now the fame of Rajasthani cinema has itself declined because of the lack of awareness and the meager involvement of people, and thus Rajasthan’s cinema is struggling to get back onto the track. Comprehending the fact, Kanchan Cassettes & Series took the mammoth task in their hand and initiated Rajasthan Film Festival on 28th September 2013 to bring back the pride of cinema of Rajasthan and to promote art and culture. Rajasthan Film Festival involves an assortment of events, award show to honor and encourage both artistic and technical excellence of artists in Rajasthani cinema thus providing them the recognition and a platform to showcase their talent. Other attractions are dance performances, plays, live performances by singers, stand up comedians and poets. Rajasthan Film Festival is organized at spectacular locations and the celebrities from all over India come to attend this dynamic event. Rajasthan film festival award ceremony provides different types of awards to people for showing extraordinary skills in their respective fields. Now Rajasthani film makers and artists also feel exhilarated as their hard work is appreciated by jury and they are becoming renowned among general public. Rajasthan film festival is achieving great heights day by day and Rajasthani cinema is also progressing and many good films are being made. Thus it seems that K-Series and its partners are on a right track to accomplish the task of raising the level of Rajasthani cinema with great aplomb. Rajasthan Film Festival is a real delight for those who have an eye for the folk culture and arts. Rajasthan Film Festival truly does justice in capturing the way Rajasthan celebrates life!! Rajasthan Film Festival aims to prevent the diminution of Rajasthani culture and to preserve the distinct ideas, cherished belief’s, spiritual and abstract concepts which only this culture embraces. It intends to provide fame and appreciation to the immense pool of talent in Rajasthan film industry and to provide them with a platform where they can get recognition at global level. 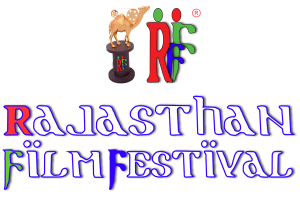 The team of Rajasthan Film Festival considers cinema as the biggest means to preserve the culture of Rajasthan to honor people’s heritage and to spread awareness among public regarding different aspects of life ranging from historical events to current scenario and from performing arts to celebrating life. Rajasthan Film Festival is a successful attempt to conserve the culture of Rajasthan and its beauty for our future generations. Thus the team Rajasthan Film Festival has a vision of solidifying the roots of Rajasthan film industry and to take Rajasthani cinema and its talent to global level in order to conserve the culture of Rajasthan.